Luxurious Two Bedroom Apartment in London is an apartment building. 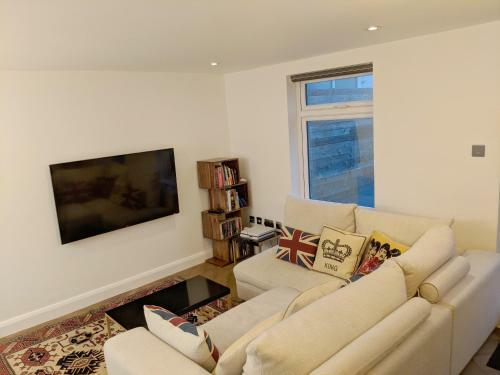 Offering free WiFi and city views, Luxurious Two Bedroom Apartment is an accommodation located in London. The property is 1.5 km from Hammersmith Apollo. The apartment consists of 2 bathrooms with free toiletries and a hair dryer, and a living room. The accommodation is equipped with a kitchen with a dishwasher and an oven. The property has a hot tub. A bicycle rental service is available at the apartment. Olympia Exhibition Centre is 2.1 km from Luxurious Two Bedroom Apartment, while Stamford B...ridge - Chelsea FC is 5 km from the property. The nearest airport is London Heathrow Airport, 18 km from the accommodation. 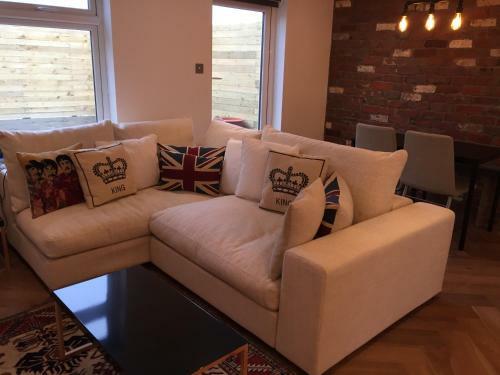 Offering free WiFi and city views, Luxurious Two Bedroom Apartment is an accommodation located in London. 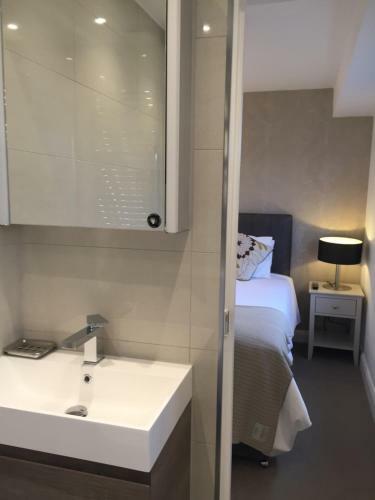 The property is 1.5 km from Hammersmith Apol...lo. The apartment consists of 2 bathrooms with free toiletries and a hair dryer, and a living room. The accommodation is equipped with a kitchen with a dishwasher and an oven. The property has a hot tub. A bicycle rental service is available at the apartment. Olympia Exhibition Centre is 2.1 km from Luxurious Two Bedroom Apartment, while Stamford Bridge - Chelsea FC is 5 km from the property. The nearest airport is London Heathrow Airport, 18 km from the accommodation. When would you like to stay at Luxurious Two Bedroom Apartment? Children and extra beds All children under 12 years are charged GBP 12 per person per night when using existing beds. There is no capacity for cots in the room. There is no capacity for extra beds in the room. Supplements are not calculated automatically in the total costs and will have to be paid for separately when checking out. A damage deposit of GBP 250 is required on arrival. This will be collected by credit card. You should be reimbursed on check-out. Your deposit will be refunded in full via credit card, subject to an inspection of the property. Please inform Luxurious Two Bedroom Apartment in advance of your expected arrival time. You can use the Special Requests box when booking, or contact the property directly with the contact details provided in your confirmation. Guests are required to show a photo identification and credit card upon check-in. Please note that all Special Requests are subject to availability and additional charges may apply. This property will not accommodate hen, stag or similar parties.